Into Thin Air: A Personal Account of the Mt. Everest Disaster (1997) is a non-fiction memoir by Jon Krakauer that substantiates the endurance needed to climb Mount Everest. Jon takes the opportunity to climb Everest and write about his experience for Outside, an American travel and adventure magazine. When Jon was younger, he dreamed about mountain climbing, but he became more cynical when he realized that even amateur climbers could reach the highest summits if they paid enough money. Jon joins the Adventure Consultants, a commercial climbing group led by an experienced New Zealand mountain climber named Rob Hall. The story begins at Base Camp, where Jon is refilling his oxygen tank. He meets Scott Fischer, the leader of Fischer’s Mountain Madness, another commercial climbing group. Fischer is illustrious for his climbing experiences, but Jon is surprised to find him looking tired and arriving last in the refilling line. As the Adventure Consultants head to Camp One, they persevere through inclement weather. Upon arriving at Camp Two fifteen days later, the climbers begin to feel the effects of the sub-zero climate on their bodies. Many clients suffer from illnesses, indigestion, and frostbite, which limit their energy. Jon does his best to tolerate Everest’s bleak circumstances and take care of his teammates. At Camps Three and Four, difficulties with breathing, eating, and climbing cause some of the climbers to need longer rests before continuing. Jon finally reaches the summit with one of his companions on May 10, 1996 at 1:12 pm. His other teammates are below him, striving to muster enough strength to climb. Jon feels accomplished as he descends from the summit, but he soon learns that his companions are stuck in a terrible snowstorm. What will happen during this consequent test of endurance? In his suspenseful and tragic memoir, Jon Krakauer vividly describes his experience of climbing the world’s highest mountain and enduring the deaths of his companions. Jon is a valiant, dedicated, and loyal man who perseveres in his dreams to reach the top of Mount Everest with support from his companions. I was impressed by Jon’s willpower and his willingness to risk his life in this mountain climbing experience. In terms of plot, I thought that the beginning of the book moved a bit slowly, but I soon became intrigued by whether all climbers would survive the dreadful storm. When Jon finally reaches the top of Mount Everest after overcoming several hardships, I felt delighted that he had achieved his dream. However, I was very saddened when eight climbers died, including Hall and Fischer, the two main leaders. This book is best suited for ages fourteen to sixteen because of the swear words and complex writing style. Some readers might have difficulty with understanding the technical vocabulary or reading about the unpleasant illnesses. I would rate this book a ten out of ten because Krakauer effectively conveys the suspense and tragedy of his expedition. 1. Why did Krakauer want to write his experience on Everest so badly? 2. Why do Jon and other climbers want to climb Mount Everest? 3. Who are the two pack leaders for climbing Everest? 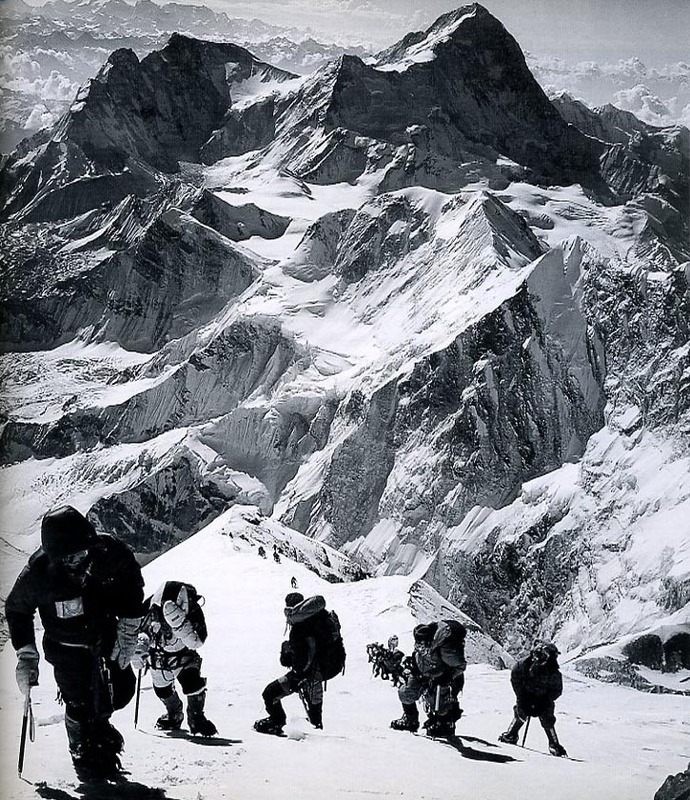 4. Who were the first men to stand on the top of Mount Everest? 5. Why did Rob Hall and Scott Fischer want Jon to be in their group? 5a. They did not actually want Jon, they only wanted the advertising from the mountain climbing magazine, Outside. 6. Who were the two clients who weren’t feeling very well near Camp Three? 7. Why didn’t Makalu Gau care when Chen died? 8. Why is Lopsang Jangbu very loyal and honest to Scott Fischer? 9. Why don’t Lopsang and Ang work well together? 10. How did Beck ruin his vision when climbing the summit? 11. Who might have died first during the storm? 12. Why did Jon think it was his fault for Andy Harris’s death? 13. What is the main purpose for the commercial groups who climb Mount Everest? 14. Who called Rob Hall on the satellite phone? 14a. Rob Hall’s wife, Jan Arnold, who thinks her husband would come back home safely. 15. How many casualties were there for this season? The answers to 9, 11, 12 and 14 aren’t necessarily right. Lopsang didn’t leave Ang Dorje behind. Hansen or Harris died first. Jon felt he was responsible for Harris’ death as he failed to properly take action when it was clear he was in a severe condition. Arnold almost certainly knew Hall would die.